Between one and two million people are believed to have been killed and 15 million displaced from their homes in the brutal aftermath of India's Independence and Partition. Hindus and Sikhs murdered Muslims at the time, Muslims murdered Hindus and Sikhs, women of each community were raped, and property burnt down or stolen as human beings turned to savages in one of the bloodiest tragedies in the subcontinent's history. There were devils and decent people on all sides, and though nationalists on both extremes would have us believe otherwise, no one group has a right to claim sainthood or even the status of the lesser evil or to exonerate itself of the havoc wrought in that period. It takes a particularly monumental level of opportunism or apathy though, at a time when India's Muslims are being demonised by the ruling right-wing establishment and its majoritarian Hindu supporters, to tell a Partition-era story in which Muslims are the perpetrators of all violence and manipulation, while Hindu characters are painted in gentle, pastel shades. 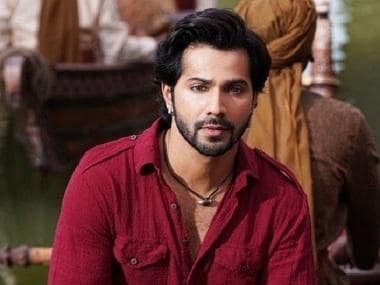 Yet it is in this scenario, in 2019, that writer-director Abhishek Varman and his producers have chosen to bring us Kalank. In the film's final shot, as the camera closes in on her pristine face, the voice of Roop (played by Alia Bhatt) places the onus on the viewer for what we see in the story: positivity or negativity, mohabbat (love) or kalank (stigma, stain). The point being made is that it is up to us. Pish-posh and a ton of tosh! At least take responsibility for what you are doing, Team Kalank. Sure, yours is a love story on the face of it. But it is a love story steeped in symbolism that wittingly or unwittingly, either intentionally or in its bid to play safe, ends up playing into the hands of a divisive dominant public discourse. The ball is set rolling on the eve of Independence when Satya (Sonakshi Sinha) discovers that she is dying and decides to steer her beloved husband Dev Chaudhry (Aditya Roy Kapur) towards love of another woman. Enter: Roop. Matters work out in such a way that Roop marries the wealthy Dev even while Satya is alive. He is a nice guy, dedicated to his family-owned newspaper and the idea of preserving India as an undivided nation. He is also honest with Roop about his devotion to Satya, and promises her respect but not love. The Chaudhrys are residents of Husnbad where the Muslim population, represented by a politician played by Kunal Kemmu, laments the fact that though they are the majority they live as if they are a minority. Roop heads to the town's Muslim quarters, evidently less privileged than hers, where she meets the tawaif Bahaar Begum (Madhuri Dixit) and the Casanova Zafar (Varun Dhawan). You know already from the trailer that Roop falls in love with Zafar, but there is a lot more brewing below the surface than meets the eye. As politics, economics and inter-personal rancour mingle, lives are destroyed and nothing will be the same again. In Kalank's scheme of things, Roop symbolises undiluted goodness, a young Mother India figure of sorts over whom everyone is fighting, torn between love/passion and duty, somehow always staying on the righteous path, never meaning anyone harm, an innocent victim of her circumstances. Dev is pure as the driven snow, a man fighting for the greater good of the country even while his combustible Muslim antagonist worries about what is presented as petty personal interests. 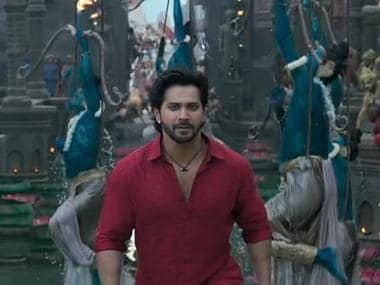 Whether by intent or unthinkingly is not clear, but Kalank's screenplay serves to project big business as the saviour of the nation while self-employment and small enterprise are treated as dispensable for a higher purpose. Zafar stands for the embittered but golden-hearted Muslim, who is transformed by the power of love. In the midst of a spectacular performance by Bhatt, Dhawan's sensitive turn as Zafar, and Dixit's stately, statuesque presence, woven around those stunning costumes, extravagant sets, lavishly choreographed dance sequences and some pleasant music by Pritam, lies a tale that even while speaking of the strength of love versus hatred, still does precisely what Mani Ratnam's Tamil film Bombay got away with doing over two decades back: it takes sides while not appearing to do so. A betrayal by a Hindu character (Sanjay Dutt) is the reason for the domino effect of resentment that consumes everyone in Kalank. He is a token presence thrown in to counter naysayers. There is no escape though from the larger picture on this canvas on which every lie, every instance of politicking, every act of aggression, violence and bloodletting comes from a Muslim. This is especially disappointing because in the film's early scenes there is more than one mention - intelligent and well thought out - of Hindu and Muslim social practices that mirror each other although Muslims alone are stereotyped for it. The insightful ruminativeness of those moments gives way to the one-sidedness of the rest. It is important to mention that Kalank is no Padmaavat. Sanjay Leela Bhansali's 2018 release was ugly, overt and unapologetic about its Islamophobia. Varman — who debuted with the vastly superior 2 States — has given Kalank a quieter tone and a sweet Muslim hero. In some ways, however, this makes his film arguably more harmful because it is drawn up in such a way as to lower even a concerned viewer's antennae despite the hate-filled socio-political reality in which we find ourselves.